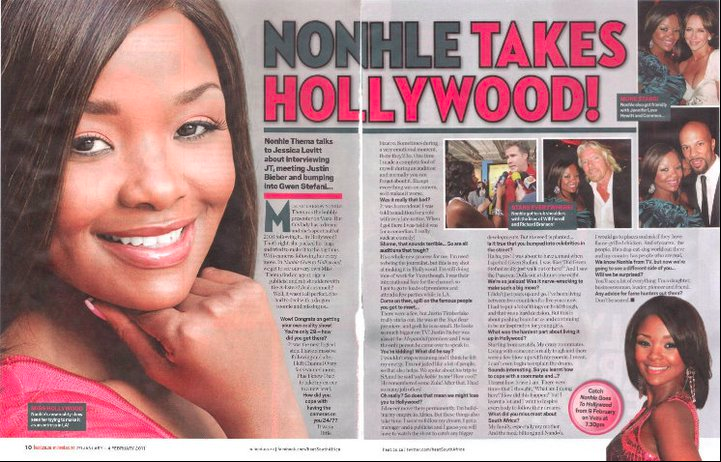 Tonight in South Africa on VUZU you can watch Nonhle Thema and her publicist on her brand new TV show ‘Nonhle Goes to Hollywood’. 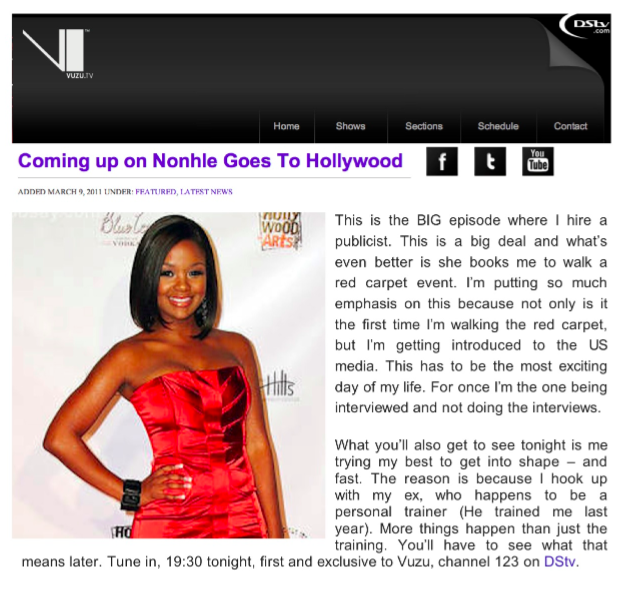 Here Nonhle talks about her show…. 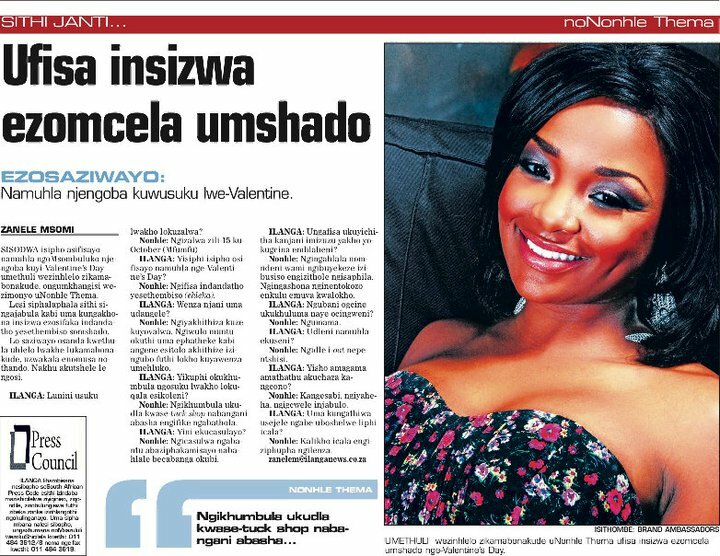 Nonhle Thema in South Africa’s iLanga Newspaper. Photo by Debbie Major Photography.